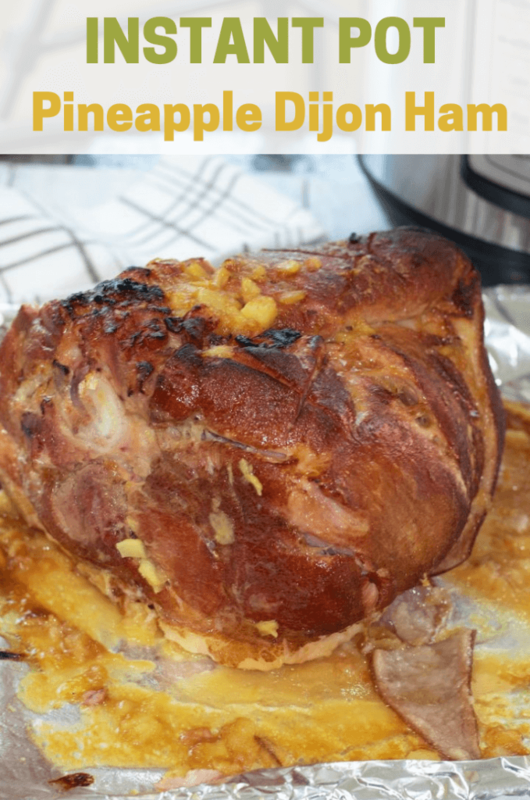 This Instant Pot Pineapple Dijon Ham is the perfect holiday ham. It’s the BEST ham ever! It’s drenched in brown sugar, pineapples, dijon mustard, and pineapple juice then cooked in the instant pot. The ham comes out of the instant pot tender, juicy, and delicious. Cooking the ham in the instant pot is super easy and creates oven space and saves you time. Also, cooking the ham in the instant pot helps infuse all the wonderful flavors together. If you aren’t a fan of sweet hams, don’t worry; this recipe is the perfect balance between sweet and tangy. 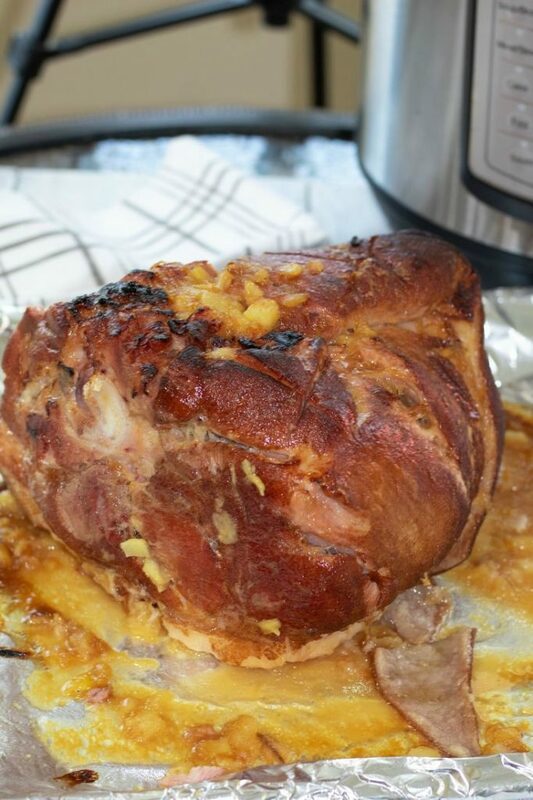 The Dijon mustard gives some zest to this Easter ham. Your dinner guest will be impressed and love the brown sugar and pineapple glaze. 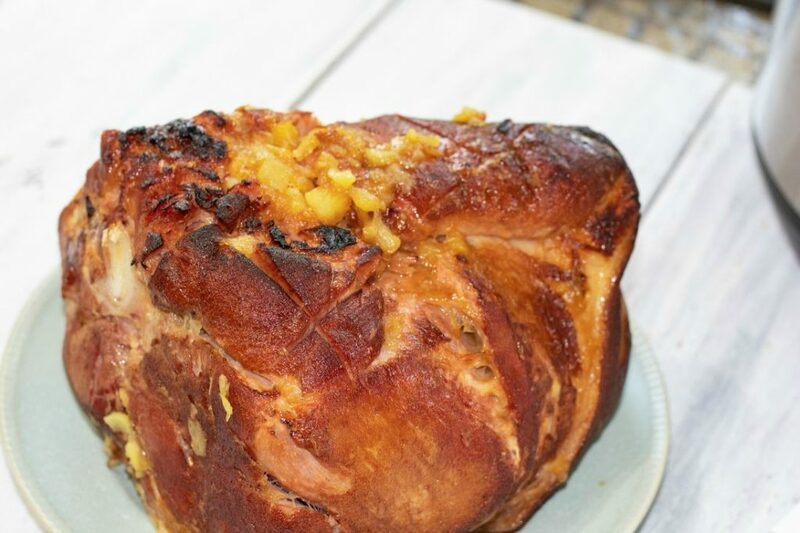 If you’re wondering what to serve your guest besides this beautiful ham you could pair it with my family’s favorite potato salad, green beans, homemade coleslaw, and even with this carrot apple ambrosia salad. You can call the glaze for the ham anything you want. It’s strictly up to you: Brown Sugar Dijon Mustard glaze, best ham glaze recipe, or brown sugar and pineapple glaze. I’ll leave that decision up to you. Now on to making the glaze. First, you’ll need a large mixing bowl, dark brown sugar, pineapple juice, crushed pineapples, and some dijon mustard. If you would like you could use Creole mustard instead of the dijon. Next, whisk all the ingredients together in the mixing bowl. Set aside until needed. To make the Instant Pot Ham start off by scoring your ham. I decided to use a 8 pound pre-smoked pork shoulder ham in my 8 quart instant pot. You can use a pre-smoked or fully cooked pork shoulder. Note– a packaged smoked ham is precooked. Next, brush the ham glaze over the ham with a basting brush. Pour a cup of pineapple juice into the bottom of the inner pot with the trivet. Place the ham on top of the stainless steel trivet. Close the instant pot and lock the lid. Turn the knob to sealing position. Press the manual button and set for 20 minutes. You’re mostly cooking the pork shoulder to warm it up and infusing it with flavors since it’s already pre-smoked. Last, when the timer goes off quick release by turning the knob to venting. After the valve goes down open the instant pot and carefully remove the ham wearing heat resistant gloves. Place the ham on a pan lined with aluminum foil. 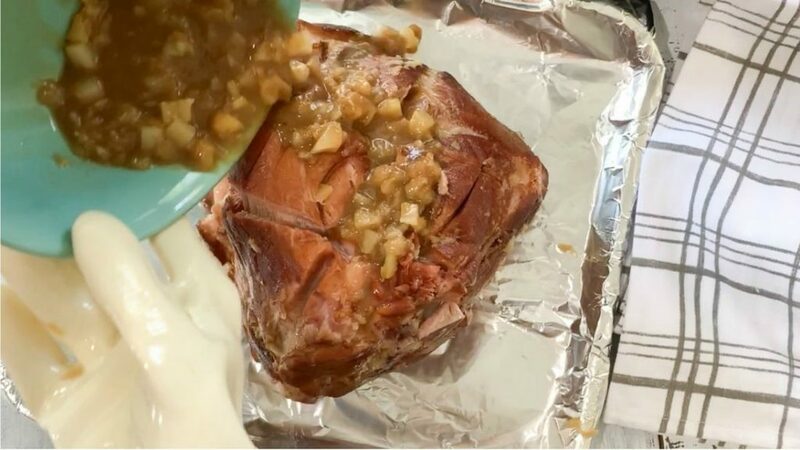 Cover the pork shoulder with pineapple mixture (see recipe below) and place it in a preheated oven under the broiler on low heat for 5 minutes to allow it to caramelize. When the ham is done carefully remove it from the oven and carve when ready to serve. What can you do with leftover ham? Additionally, you can use leftover ham to add to red beans and rice (Instant Pot Red Beans and Rice), bean soup, breakfast casseroles, and many other recipes. Just cut up the leftover ham and store in freezer safe storage bags, until needed. You can store the leftover ham for up to two months in the freezer. Tip– Make sure not to throw away the ham bone it’s perfect for making broth. Watch my video below to see how I made my ham. Doesn’t the ham look delicious? It’s the perfect ham for Easter or any holiday dinner. It tastes great, smells heavenly, and it’s so juicy. This ham is by far my favorite!! 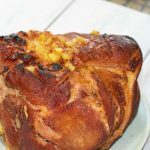 This Instant Pot Pineapple Dijon Ham comes out of the instant pot tender, juicy, and delicious. It’s the BEST ham ever! 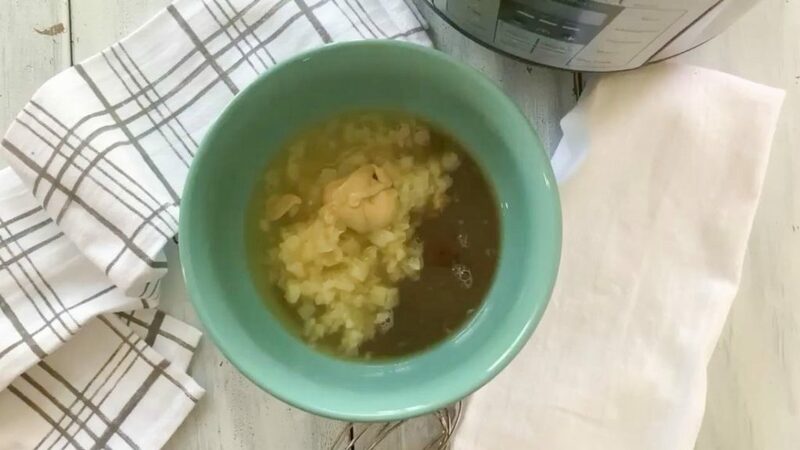 Place half of the dark brown sugar, dijon mustard, and half of the can of crushed pineapples with half of it’s juice into large mixing bowl. Whisk together and set aside. Pour cup of pineapple juice (Dole Pineapple Juice) in the bottom of inner pot with the trivet. Place ham on top of trivet. Close instant pot and lock lid. Turn knob to sealing position. Press manual button and set for 20 minutes. When the timer goes off quick release by turning the knob to venting. After the valve goes down open the instant pot and carefully remove the ham using silicone heat resistant gloves. Place ham on a pan lined with aluminum foil. Whisk together the remaining brown sugar and remaining half can of crushed pineapples with its remaining juice. (Should be half can pineapples and half of the juice from the can). 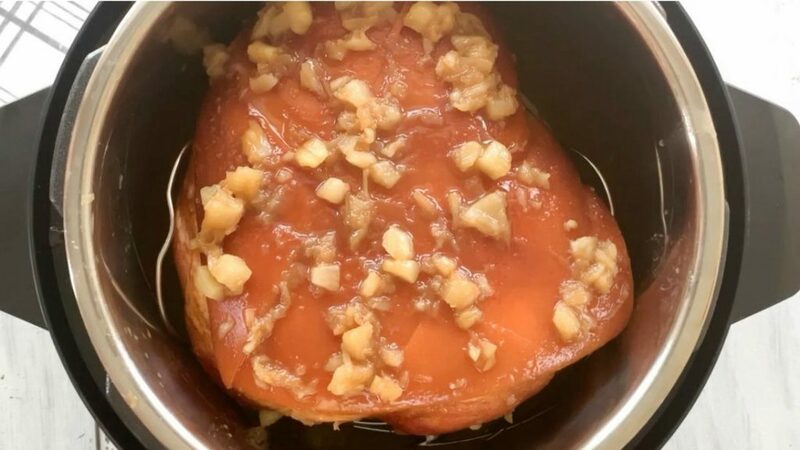 Cover the smoked pork shoulder with the brown sugar, pineapples, and juice mixture and place in a preheated oven under the broiler on low heat for 4- 5 minutes to allow it to caramelize. When the ham is done carefully remove it from the oven and carve when ready to serve. Enjoy! Make sure to use Dark Brown Sugar. Also, can add cloves to the pineapple juice in the bottom of the inner pot. If you don’t want the outside of you ham crispy you can omit steps 6-10 and serve it straight from the Instant Pot. My Instant Pot is a 8 quart lux. My ham is a smoked 8 pound pork shoulder ham ( which is precooked). 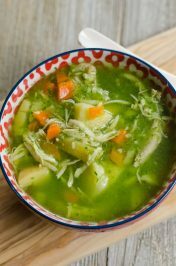 This I have to give a try in the instant pot! The recipe looks very interesting as pineapple is included, I guess the meat will absorb the fragrance and the sweetness of the pineapple. 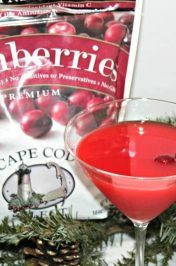 I am excited to try out this recipe. Wow, this sounds so flavourful and delicious. We love ham in our house but always struggle for knowing what to do with it. 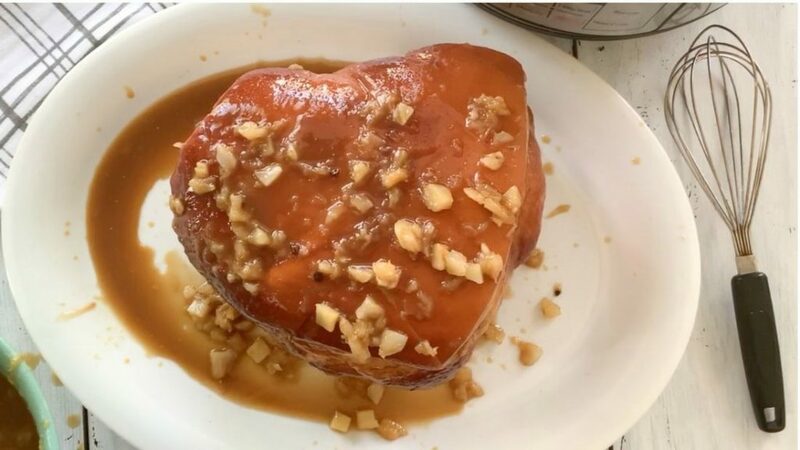 Thanks for providing more information about this instant pot ham and your recipe. Your photos are gorgeous. 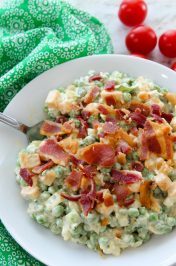 This is such a perfect recipe to try this weekend, it looks super delicious! I bet my husband would like this one. If I ate pork this would be a great recipe for the family! Still a lovely recipe though! Is it better than pineapple on a pizza, haha? Thanks! I’ll try it. i’ll have to try this next time we do ham. it looks amazing! Did you use a 6 quart IP or is that too small? This recipe looks so good. We love cooking with pineapple, and actually just had a pineapple themed dinner this weekend. Thank you Kara! I usually don’t like ham cooked like this but it was really delicious and easy to make! You can never go wrong with a fresh ham…it’s always a crowd pleaser. Yours sounds and looks delicious…love the combo of pineapple and djion! This looks really good! I would love to try this at home and taste it. This makes my mouth watering, yummy! Awww thank you Surekha! I hope you get to try my ham recipe. It truly is a delicious ham recipe! I love using my insta pot and have not used it to make a ham yet! I will for sure be using this recipe! I tried this yesterday and it was a disaster. There is nothing in the recipe about what size pot you used – I have a 6 quart IP and used an 8lb ham. It is also not clear if you used a fully cooked ham or not – I used a non pre-cooked ham and after 20 minutes, I took it out put it under the broiler and then carved the ham – which was completely raw. Lastly, the recipe is confusing as to the glaze. The recipe calls for 1 cup of pineapple juice which is placed in the bottom of the pot. But the glaze recipe says to use pineapple juice in the glaze. How much is supposed to be used in the glaze? I used none and found that draining the juice from the tidbits and dividing those in half, there was plenty of liquid to make the glaze without adding any juice. She actually does answer your questions in the recipe and the blog post. In the blog post, she mentions that she used an 8 qt IP. In the recipe and the blog post, she mentions that it was a precooked ham. I’ll admit in the post, the explanation of the pineapple juice in the glaze is a little unclear. However in the recipe, I think it is explained pretty clearly. Actually the size of the IP is also mentioned in the recipe. Yeah – I saw the pre-smoked specification when I re-read the page but the recipe doesn’t mention it. I also saw the IP size and ham size in the comments just before I posted my comments. I will check the recipe once you update it and try it again as I really want to try it. Thanks for responding and confirming what I figured out!